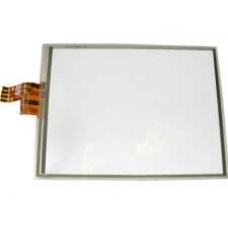 The iPAQ glasstop also known as the iPAQ digitizer, this replacement screen part is used to read touch screen input from the stylus. If your touch screen (digitizer) is shattered or does not respond to stylus input anymore but the screen image is still complete, this is the correct spare part you need to restore your HP iPAQ screen to full working order. Please note this is a difficult home repair and does require soldering to install. If you have a cracked or broken screen (glass top), but the LCD display is intact and shows no damage and the image is s..